A receding hairline is just the sign of male pattern baldness. Your hair will continue fall faster than you think.Your hair in the center of your scalp will get thinner and thinner. But there is not worrying about thinning hairline. It is easy to stop your hair from receding and now your hairline will be growing back with one of the most trusted and proven hair growth method. It may take a time, but your hair will grow back permanently. If you have a receding hairline in means the scalp skin where you are losing your hair That means the hair follicles have been damaged and hair can no longer grow.But with Moroccan Arganrain Hair Growth Products can be treated for your hairline. You are going to keep the shampoo at least 2 minutes on your scalp massaging gently. You’re going to repeat this hairline treatment process three or four times a week to ma ke your hair growth factor into your scalp. In the end your hair will grow with strong hair follicles. Arganrain hair shampoo is the best hairline cure shampoo for your scalp with a powerful argan oil from Morocco ingredient of proven hair growth. This shampoo intensely nourishes your hair with the exact nutrients it needs to grow. Moroccan argan oil is known for everyone to stop a recent hairline. Because its ingredient is just pure argan oil and argan oil is a great solution for your falling hair. That’s Arganrain Moroccan oil shampoo gives you an effective,noticeable and good hair growth result. 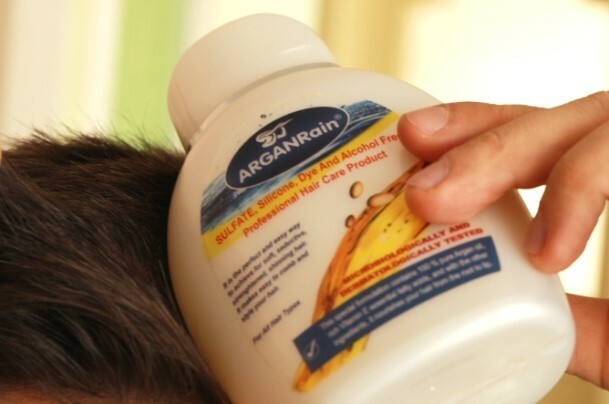 TODAY START WITH YOUR HAIRLINE TREATMENT USING ARGANRAIN SHAMPOO!